After the wedding, it’s time for the honeymoon! And whether you are planning a relaxing beach escape or traveling to Europe to see the sights, you’ll want to look super cute, right? Well, today I’m sharing a super easy (and cute!) 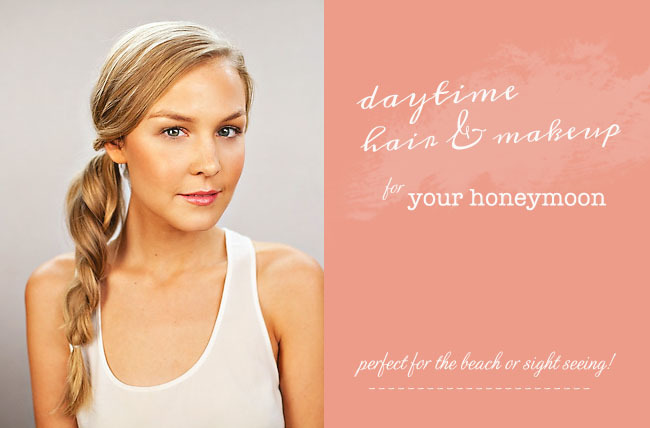 daytime to evening look for your honeymoon. 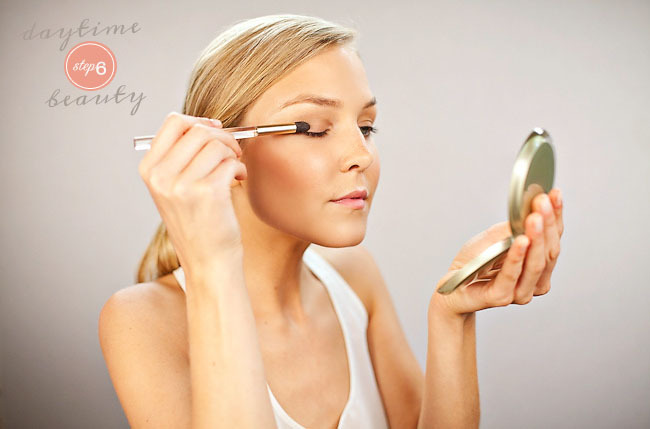 Thanks SO much to one of my favorite beauty gals, Nyrie at Symmetry Beauty for sharing her expert tips. I’ve worked with Nyrie on quite a few projects (spanish bridal fashion and this southern styled wedding shoot to name a few) and she is super awesome at what she does. Nyrie worked with the lovely Ala to capture all the steps for these DIYs. I hope they are helpful and would love to hear if you’d like to see more of these! 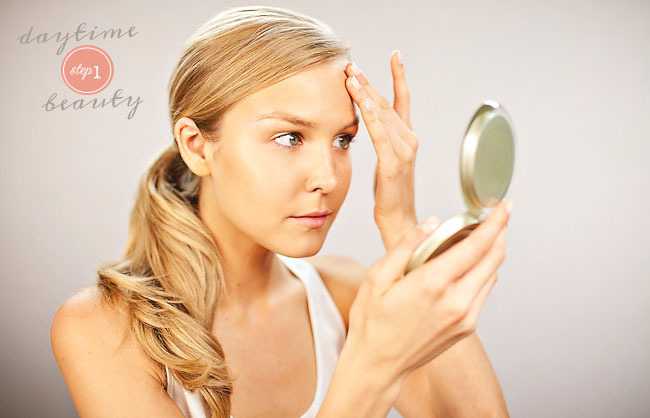 Step 1 On clean skin after sunscreen application apply a tinted moisturizer all over, using your fingers or a sponge applicator. I used Jouer luminizing moisture tint in Golden. Step 3 Brush and fill in eyebrows where needed with a pencil, I used Jouer brow definer in blond. 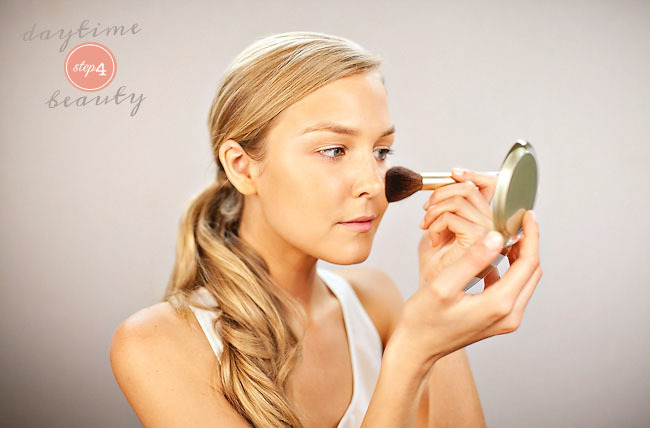 Step 6 Use a light camel or beige eyeshadow on the lower lid up to the crease, but not beyond. 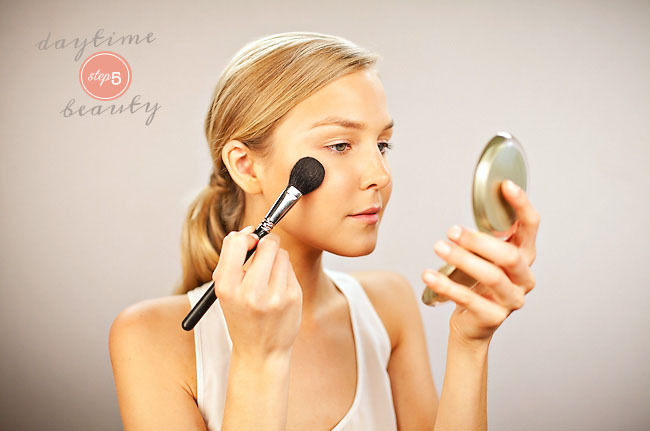 I like a crème shadow for this look because I love the way that they melt into the skin and are fast and easy to use. I used Laura Mercier rum satin. 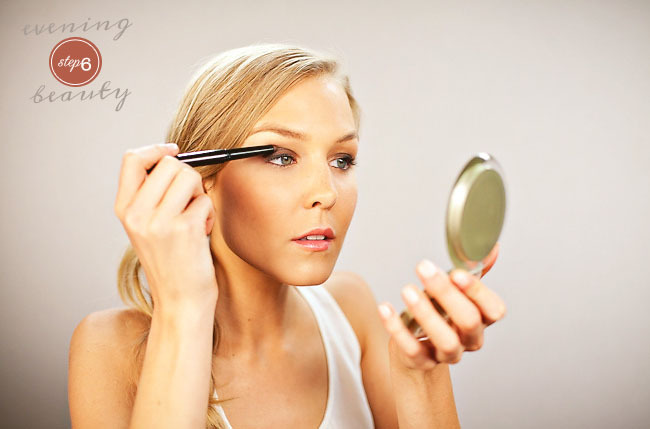 Step 8 Curl lashes if needed and apply your favorite waterproof mascara. Next, let’s do the hair! 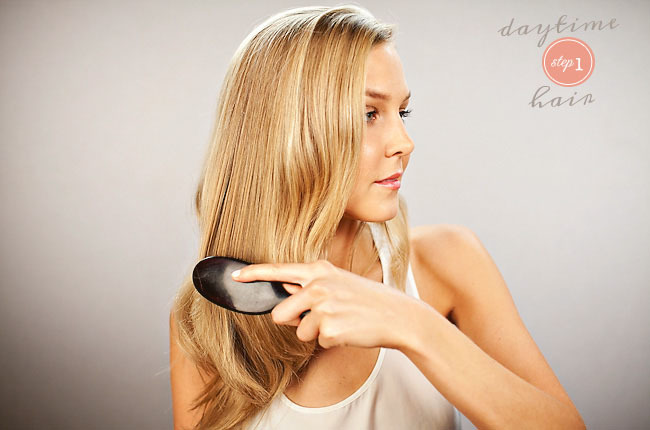 Step 1 Start with clean air-dried or blow dried hair, may be dry of slightly damp. 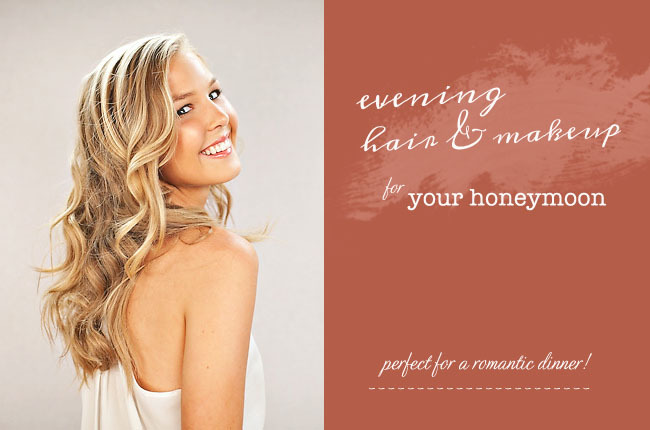 Comb or brush through any tangles. Step 2 Part hair slightly to one side using your fingers or the back of a comb. 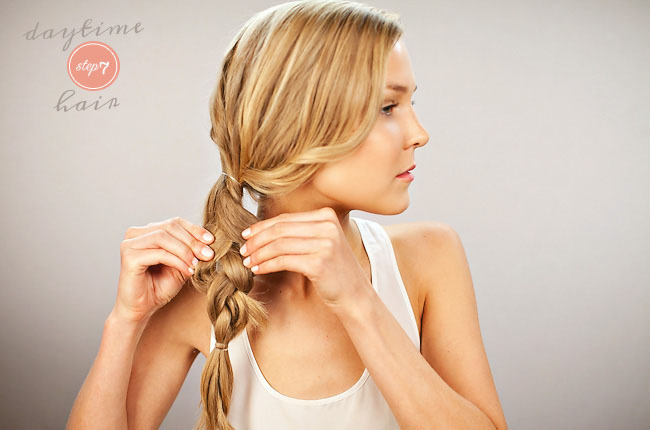 Step 4 Pull hair to the opposite side of your part and gather into a low loose pony, secure with a clear elastic hair band. Step 5 Braid the hair loosely. Step 6 Secure the bottom of braid with a clear elastic band. Step 7 gently pull the braid apart to loosen it up. And you are ready for some sight-seeing with your new hubs! 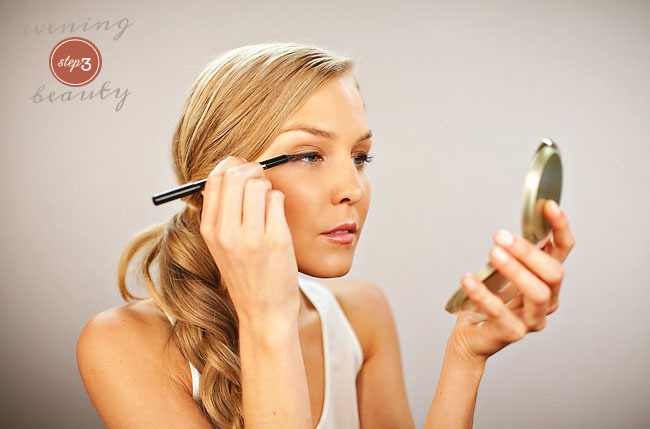 Now, let’s take your daytime look and turn it into an easy + gorgeous nighttime look. Perfect for a romantic dinner! 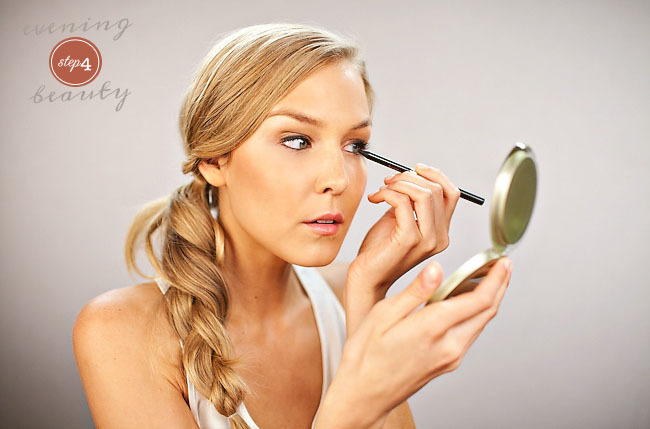 *Remember if you are just starting with the evening look you will need to also do steps 2, 3, 4, 5 and 8 from the daytime look. 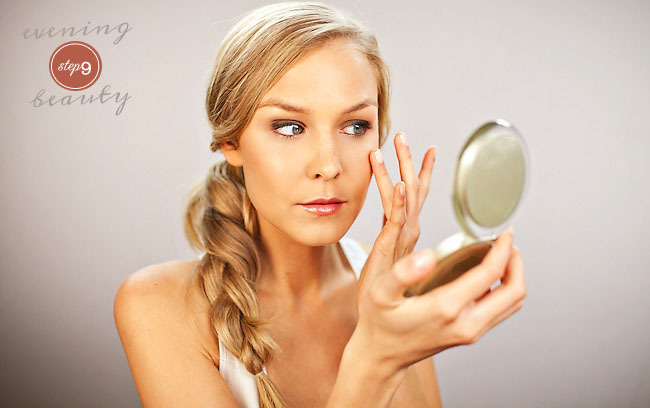 Step 1 Refresh your skin with a light water mist. Now, let’s work on the hair! Step 1 Remove both elastic bands and take out braid. Step 2 loosen up hair with fingers. 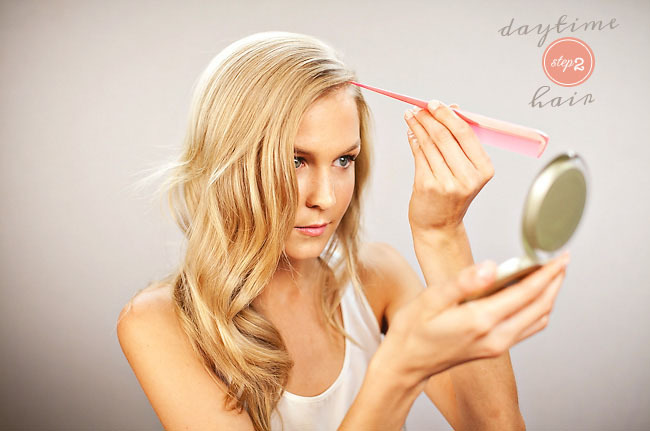 Your hair may be perfect just like this and you may be ready to go! If you want more curls continue to step 3. Step 3 Pin top half of your hair on top of your head, to keep out of the way. Step 4 loosely take one inch sections of hair and wrap around a one inch barrel curling iron leaving the ends of hair out of the clamp. 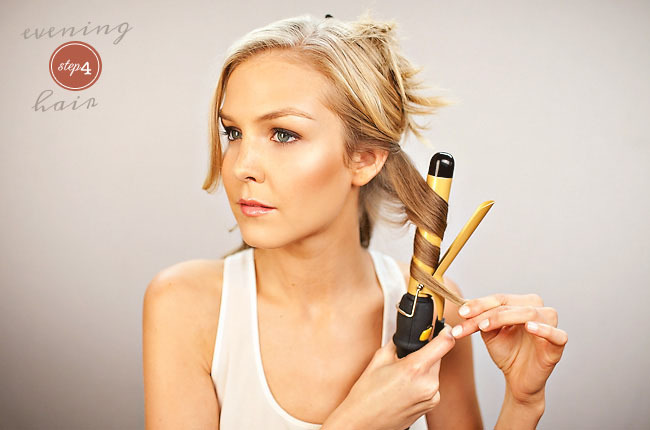 You can also use a curling wand, with no clamp. 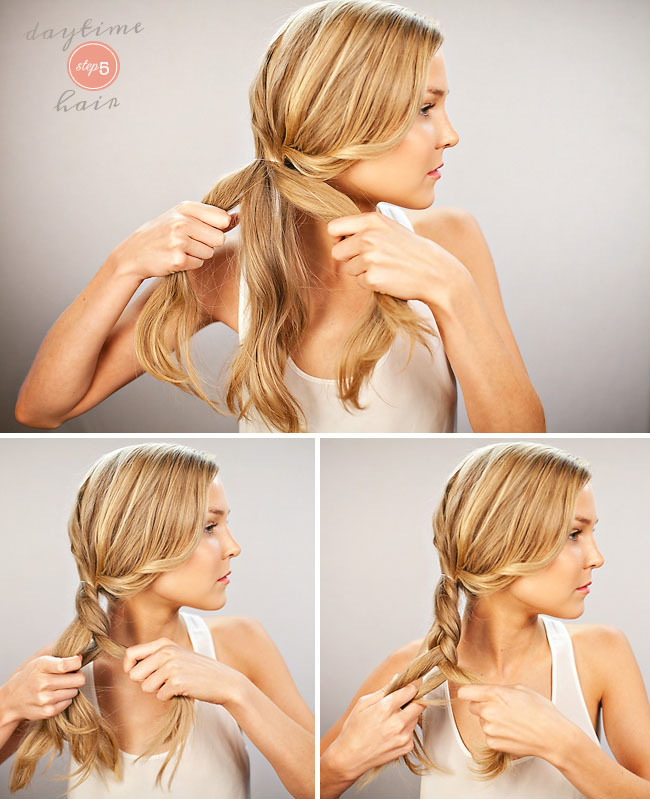 Repeat this step until the bottom half of hair is curled. 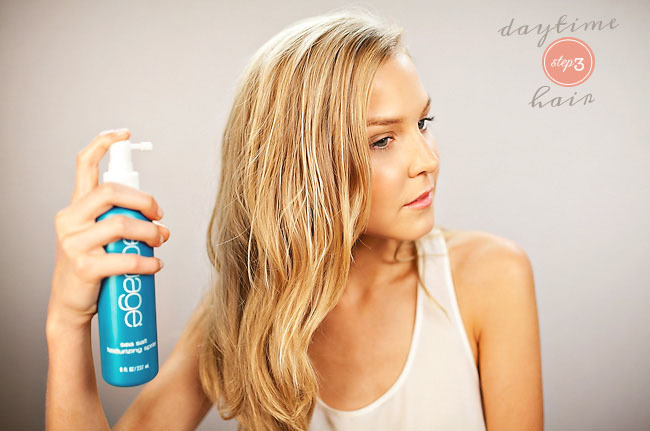 Shake out hair and spray with light hair spay or shine spray if needed. Gorgeous, right? Happy honeymooning! Thanks so much to Nyrie of Symmetry Beauty for all the steps and to Ala of Love Ala for the photos. Created exclusively for Green Wedding Shoes. Symmetry Beauty and Love Ala are both featured vendors of Green Wedding Shoes. Check out their vendor profiles to see more of their work or discover other GWS recommended vendors for your wedding day in our Vendor Guide. cute! 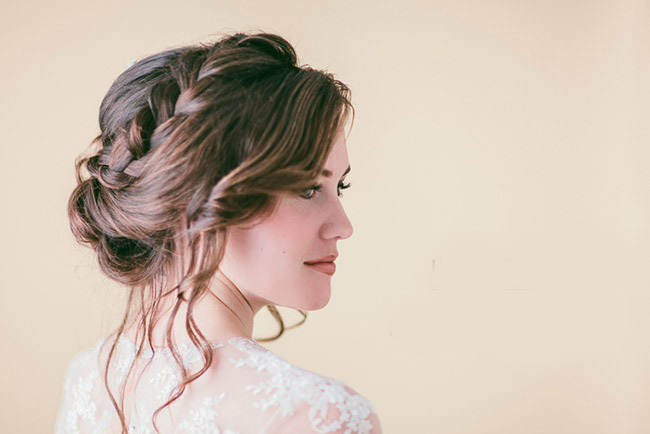 i actually think i might use the braid look for my wedding day – love it!!! I love that you not only gave step by step instructions, but you added the products that you used. Now I have an idea of what to buy and how to use it. Thanks!! I looove this! Hope to see more. And the model is gorgeous. I am so happy I came across this post. 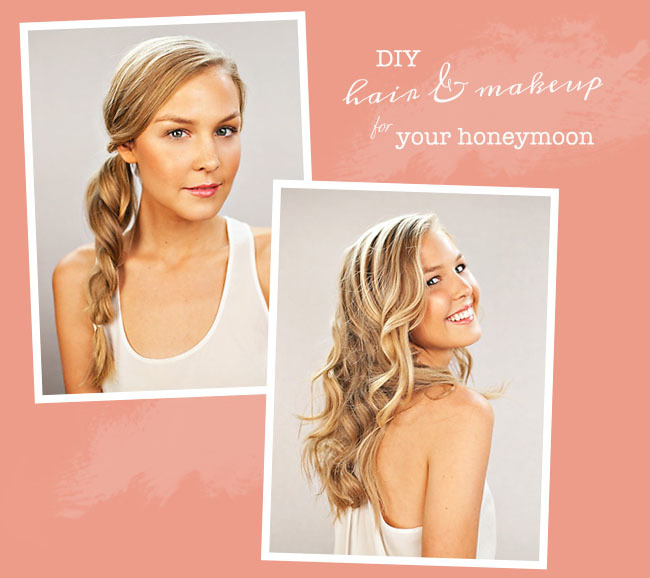 I am going to give the make up a whirl on my Palm Springs getaway and plan on using this braid idea instead of frying my hair! Thanks ladies, just what I needed. 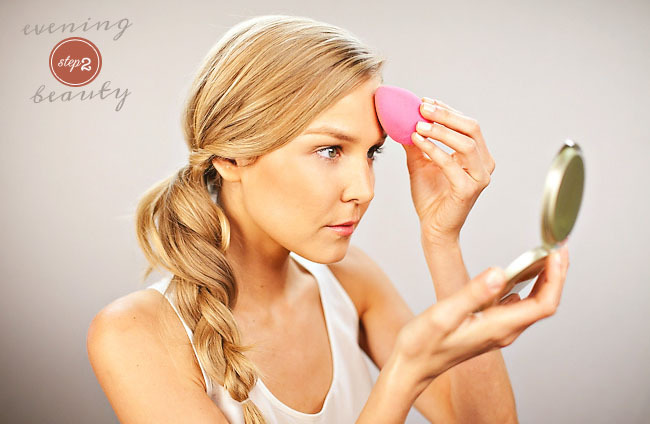 i would love some ideas on how to prep and get your skin ready for your big day, i suffer with acne prone skin sometimes its clear and sometimes it isnt, what can i do to help prevent this and keep my skin looking fabulous on the day, also my hair, any tips nyrie? any tips on rehearsal dinner hair and make up? 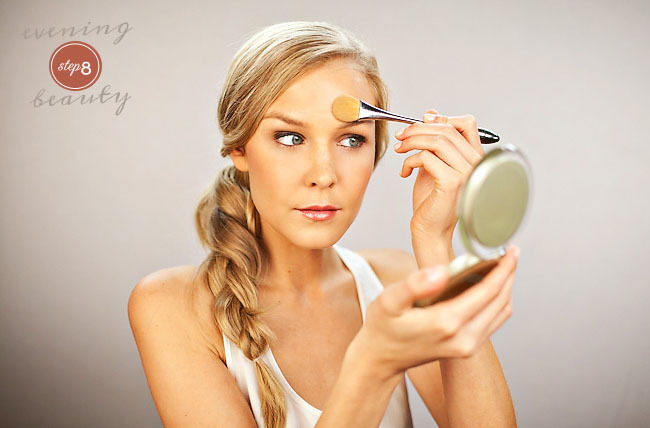 How refreshing is it to find beauty tips that you can actually to do yourself AND look great! OMG! I love all the tips, and it helps to see the step-by-step. I only wish I had this info before my honeymoon. I love the natural, beautiful makeup. Stunning! 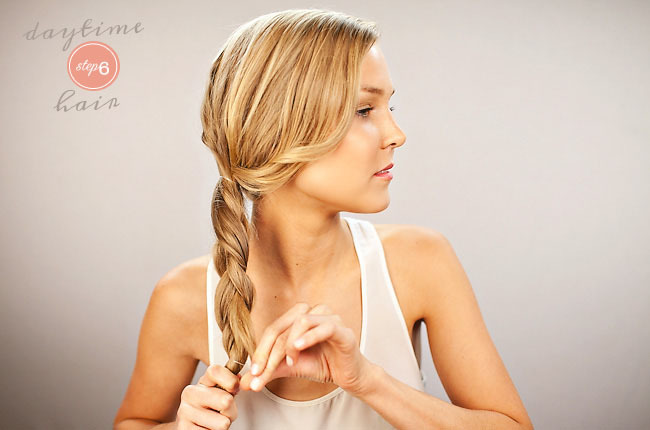 I am going to try the loose braid tomorrow. Great article- thank you! I love it! The tutorial is really easy to follow, and the look is very fresh. Keep posting these, please! I love this tips. They are great easy to follow directions and quick!! I found this really helpful. I’m getting married in the Adirondacks this summer and leaving for my honeymoon right after. I didn’t know if I should really worry about packing make-up and stuff, but now that I see that this is so easy, I definitely will be.